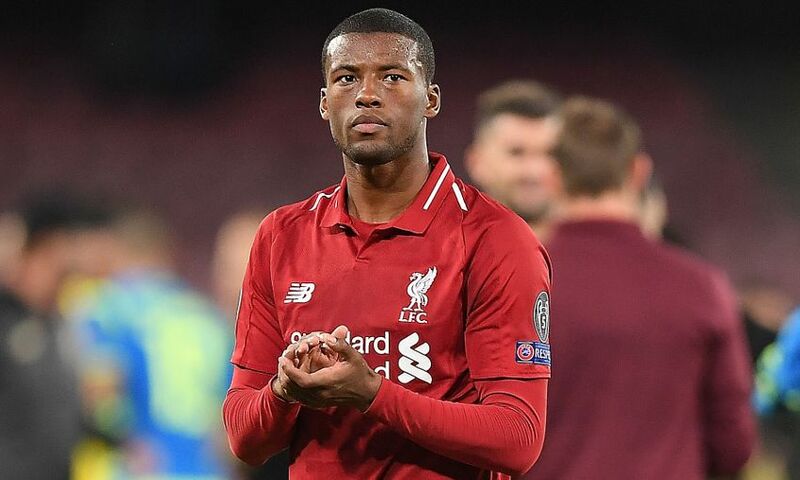 Georginio Wijnaldum called on Liverpool to learn from the 'reality check' they experienced in losing 1-0 against Napoli. The Reds were below their best against the Serie A side in their second fixture of Champions League Group C and were punished in the final minute when Lorenzo Insigne tapped in Jose Callejon’s cross to take the points. Jürgen Klopp’s team must pick themselves up quickly with Manchester City set to visit Anfield on Sunday – and Wijnaldum insisted they will take the lessons from their defeat in Italy. “You’re always disappointed when you lose a game. We didn’t play well and they deserved to win. They had a good chance before the goal,” the Dutchman told Liverpoolfc.com at Stadio San Paolo. “They were calmer than us on the ball, they defended well and stopped us creating chances. It was not a good day for us. They deserved to win. “It’s a good game to learn from. That’s what we’re going to do – we’re going to analyse the game and see what we can do better. Wednesday’s result means Liverpool now sit a point behind leaders Napoli in the section and level with Paris Saint-Germain, who beat Red Star Belgrade 6-1 at home earlier in the day. Asked to elaborate on why the Reds did not get going, Wijnaldum said: “We wanted to rush things and play football, instead of keeping the ball and waiting for the moments. “They did well; they were calm and played the ball around and waited for the moments. That’s why they were so good.